Let’s talk about brand development–or “branding,” as it’s known in the world of marketing and advertising. Most folks think of a brand as an organization’s name, logo, type treatment, color palette, and tagline. Except, these are simply brand elements. When done well, these things can effectively reinforce a brand’s promise of value—but they’re still just supporting players. The brand goes deeper. In fact, it lives right next to whatever it is you make and sell. Branding is the discovery of an essence within an organization. This essence then outflows as tone into all forms of communication that a company deploys—from its website, to advertising/social media/packaging/customer service/business cards, or virtually any other form of intentional communication. The reason we get hung up on names/logos/taglines is because they’re so pervasive. So front-facing. Anyway, discovering this essence is what I do for a living. And sure, I then turn it into tangible marketing elements like names/taglines, web copy (that engages humans and robots), advertising, tactical content, etc. But at the tip of the spear is the essence. The tone. I came across this quote last week and mulled it over all day. 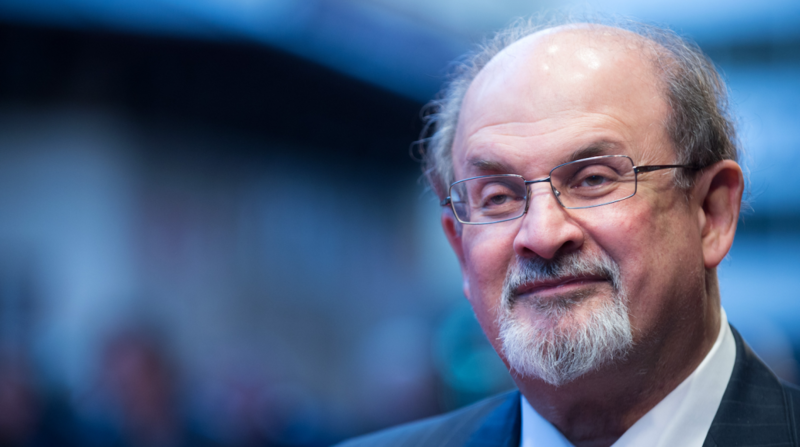 For Rushdie, asking difficult questions means something different than it does for me. He challenges dogmatic institutions, after all. I just write commercial narration. But I’ve done this job for two decades, and here’s what I know—branding doesrequire asking, and answering, difficult questions. The kinds of questions that someone within an organization might not have the courage to ask. Questions that make you think about your product/service in new ways. Questions that make you think about the people who need your product/service in new ways. Questions that seek the truth. Because the best branding reflects the truth within an organization. And getting to that truth takes time, effort, and a willingness to brave the uncomfortable questions. Whether you’re launching a startup, refreshing a legacy brand, or you’re taking a new product/service to market, when you treat the branding process with respect, and have the courage to answer the tough questions truthfully, you’ll be fine in the end. The key is to hire the right people to guide you along. And trust them to get you where you need to be.